Ocean currents are hugely dynamic, and weather patterns, seasons, climate, and geological events can all have large impact on flow. Even everyday tidal forces can dramatically affect ocean currents in surprising ways. Major ocean currents that relate to shipping, like the Gulf Stream, are fairly well understood. But, smaller currents that aren’t as significant to trade are still largely unstudied. Soon, these robot boats being developed a the University of Pennsylvania could be used to collect that data. 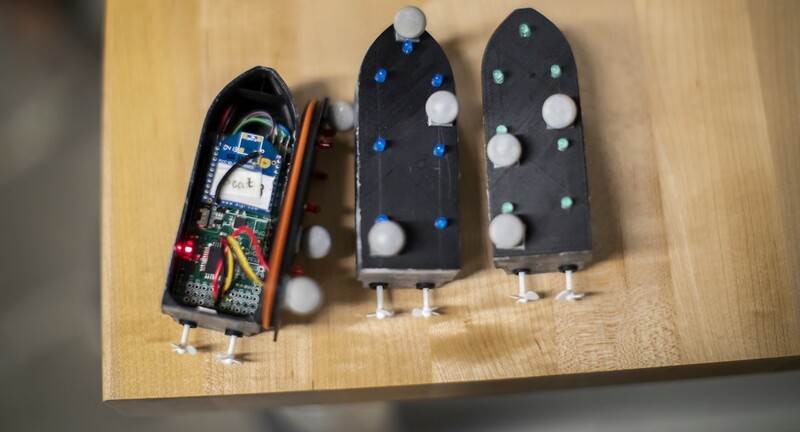 The tiny robot boats are the work of researchers from the University of Pennsylvania’s Scalable Autonomous Robots Lab, and are designed specifically to map ocean currents in an efficient manner. Each robot is small enough to fit in the palm of your hand, and contains a microcontroller and an IMU (Inertial Measurement Unit). They’re also equipped with XBee radio modules for communication. The team imagines the robots using energy from the currents to map those same currents, which would give them the ability to remain at sea for long periods of time. The data they collect could be used to monitor real-time conditions, and over time the same data would be beneficial for studying long term climate change. They haven’t yet released the robots into the open ocean, and are instead focusing on testing in an indoor wave pool. But, hopefully soon, they’ll be used to gather some valuable information about ocean currents. 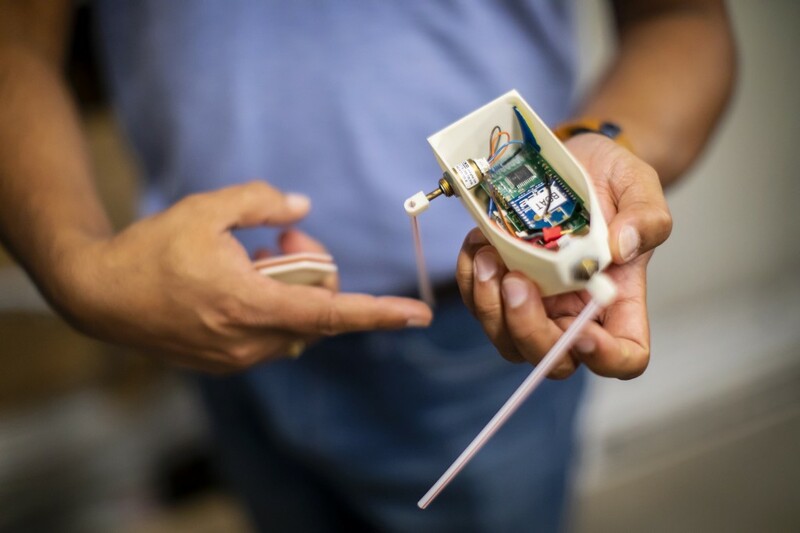 Tiny Robot Boats Map Ocean Currents with Help From the Waves was originally published in Hackster Blog on Medium, where people are continuing the conversation by highlighting and responding to this story.